no, i didn’t have a dyke drama style valentine’s day. neither did my period start. 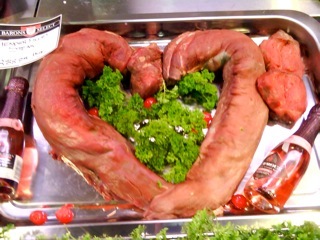 i did, however, see these … so romantic … red rose, pink champagne and raw meat in the shape of a heart. 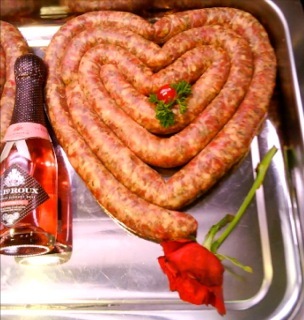 so … how was your valentine’s day? commercial? lonely? did anyone give you a fluffy pink hippo, a plastic rose, chocolates in amusing shapes? a nice lump of raw flesh?